Embark on a brand-new journey with Reimu, Marisa, and many other Touhou characters in the Tower of Desire! Join the colorful cast of Touhou characters on an incredible journey through the Tower of Desire! Touhou Genso Wanderer Reloaded is the definitive edition of a roguelike masterpiece, filled with new dungeons to explore, new items to collect, and new faces to meet! Newcomers and veterans of the Touhou series will love journeying through the land of Gensokyo with Reimu Hakurei, the shrine maiden of the Hakurei Shrine, as well as new faces such as the spunky magician Marisa Kirisame, and wind priestess Sanae Kochiya! And now, with a ton of new content, new and veteran players can experience the world of Touhou in the complete edition of Touhou Genso Wanderer! Relive the epic adventure in the land of Gensokyo! One day, Reimu Hakurei is visiting Rinnosuke Morichika at his shop, Kourindo. He shows her one of his prized possessions, the golden sphere. However, when she touches it, it unleashes a mysterious beam of light. Rinnosuke starts acting strange, and a giant tower now stands where Kourindo used to be. The population of Gensokyo has also been replicated by clones who attack people on sight. As the Hakurei Shrine Maiden, it is Reimu's duty to resolve this latest incident and bring peace back to Gensokyo. 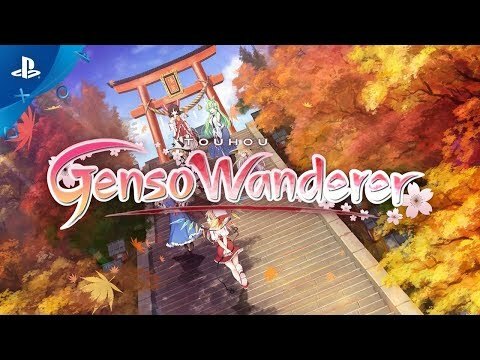 The definitive edition of Touhou Genso Wanderer is now here in Touhou Genso Wanderer Reloaded! After completing the main story, embark on a new adventure with new faces, fight new enemies, brave new dungeons and bosses, and collect all. The. Loot! This edition contains all previously released DLC, as well as a huge new chunk of storyline to sink your teeth into! A Definitive Experience - Relive the complete journey through the Tower of Desire and embark on all-new adventures beyond your wildest imaginations! Unleash Your Powers! - Become an unstoppable duo as you and your partner fight against evil and cast powerful bullet-hell spells! The World Is Your Oyster - Craft items, upgrade weapons, take a break with other Touhou girls at the cafe... Enjoy the story and solve its mysteries at your own pace!